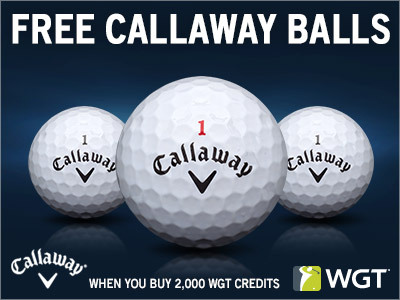 Get 3 free Callaway HEX Chrome+ balls today when you buy 2,000 or more WGT Credits! Just in time for the long weekend, take advantage of this special offer to load up your account with credits and some free virtual golf balls. These HEX Chrome+ Slow Meter balls from Callaway give you more distance, control and a slower WGT swing meter, because better shots mean lower scores. Note, the free Callaway virtual golf balls will automatically be added to your inventory but not automatically equipped. To use them, just open your Equipment and equip the new Callaway balls from your inventory. *Special offer for players that buy 2,000 or more WGT Credits today through tomorrow (8/30/18-8/31/18) on WGT, get 3 Callaway HEX Chrome+ Balls (Slow Meter) (L34+). Wish Month is almost over, help grant more wishes! Wish Month is almost over, but you still have time to make an impact for children diagnosed with a critical illness. Join us in celebrating "Wish Month" this August, in support of Make-A-Wish®, by purchasing one of our limited time ball effects or virtual golf balls. We've created a special ball effect, featuring a starry blue vapor trail, that's available for a limited time in the WGT Pro Shop. This new vapor trail is available as both a virtual golf ball AND a ball effect, so you can choose whichever best fits your game! 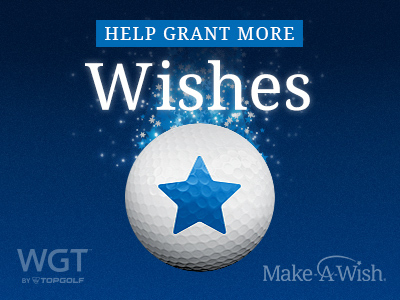 Even better than the magical stars, WGT will donate $1 for every sleeve of these virtual golf balls or set of ball effects sold, to help create even more life-changing wishes for children with critical illnesses. *$1 from every sleeve of Make-A-Wish virtual golf balls or set of ball effects purchased will be donated to Make-A-Wish® to help make more wishes possible, up to $10,000. We've updated the game with some fixes and improvements, plus we've got some exciting tournaments coming your way soon! The Virtual U.S. Amateur Qualifier tournament concluded on Sunday, so the top 32 finishers are being placed into bracket tournaments for the final round. This final Bracket round kicks off on Aug 29, with players competing each day through Sep 1. Only winners move on to the next match-up until only two finalists are left. The top two players from eligible countries will win a trip to Topgolf Atlanta to compete in a live, head-to-head championship (the first ever!) to compete for WGT fame and $500 gift cards to both USGAshop.com and Topgolf. See the Qualifier leaderboard here and stay tuned for more updates on the final round! 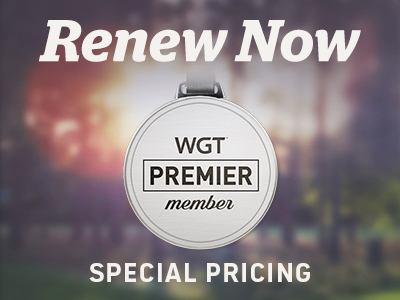 About a year ago, we launched WGT Memberships as a way for players to make a one-time purchase for a year's worth of in-game benefits. 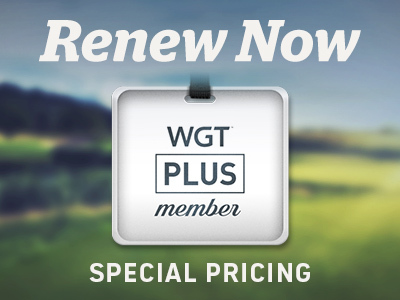 As these benefits start getting close to expiring for players, you can renew existing memberships (both Premier and Plus) for 10% off. We'll notify you when it's time to renew, but wanted to give you a heads up on the special offer so you don't miss out! Stay tuned for some new upcoming tournaments, including the September Virtual Tour Major and a few other special tournaments we're hosting with some of our partners. It's 5 o'clock on WGT! It's 5 o'clock somewhere! Compete now through Fri, 8/24 in CC Event #80 for your chance to win these clock tee markers and flags – set to 5:00. 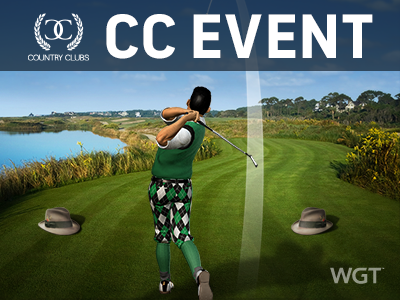 Play now with your WGT Country Club and you could win in-game prizes including these tees and flags, plus the top 500 clubs will win Course Builder currency to create custom courses. 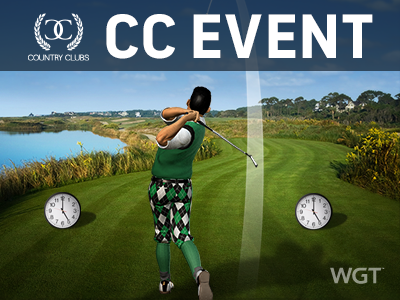 CC Event #80 runs 8/23-8/24 with multiple 4-hour Clashes, so be sure to play as many games as you can for your club and keep your eyes on the leaderboard. For 24 hours only, irons are 20% off in the Pro Shop! 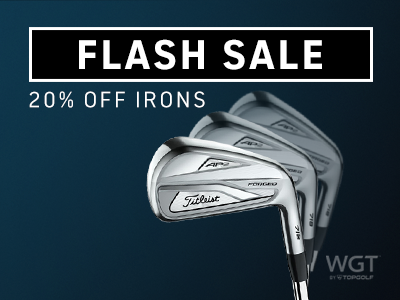 Don't miss today's flash sale – just log on to WGT to buy any virtual iron set (up to Level 84) for 20% off the regular price. *This special offer applies to all virtual iron sets up to Level 84, and is available for 24 hours starting 8/10/18 at 5:00 AM PT on wgt.com and WGT Golf Mobile (iOS, Android and Amazon). What's your lowest "Best of Par 5" score? 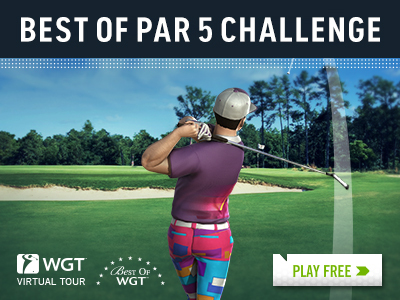 Compete in this month's Virtual Tour tournament on the Best of Par 5 course to find out! 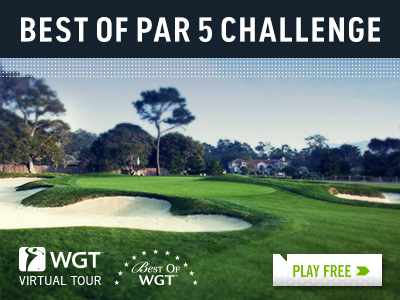 The Best of Par 5 Challenge is the second tournament in the Jul-Sep Virtual Tour Quarterly Season, with a 100,000 WGT Credit prize. Play the unlimited play first round (8/1-8/26) followed by a single-play second round (8/27-8/31), with the top 70 combined scores in each Pro-Champion tier splitting the total purse prize. Help Make-A-Wish grant more wishes! Join us in celebrating "Wish Month" this August, in support of Make-A-Wish®! 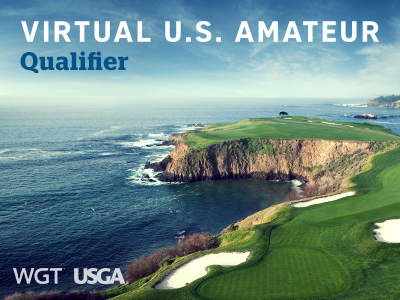 Compete in the first ever Virtual U.S. Amateur tournament this month on WGT, in collaboration with the USGA. The Qualifier tournament kicks off today on Pebble Beach, with players competing in the unlimited stroke play tournament to post their best score by 8/26. The top 32 scores from the Qualifier will move on to a final Bracket tournament, with the final two players winning a trip to Topgolf Atlanta to compete in a live, head-to-head final match! The Bracket Championship round of head-to-head matches will be played across four days (8/29-9/1) to determine the final two bracket winners. These two players will get a trip to Topgolf Atlanta to compete in a live head-to-head match for a grand prize of $500 gift cards to both USGAshop.com and Topgolf. This is a first-of-its-kind championship for WGT, so don't miss your chance to create WGT history! *Open to all WGT players to play free, but only eligible countries can win prizes. See rules for details and eligibility.